Outer Body construction made of AISI 304 16-Gauge. 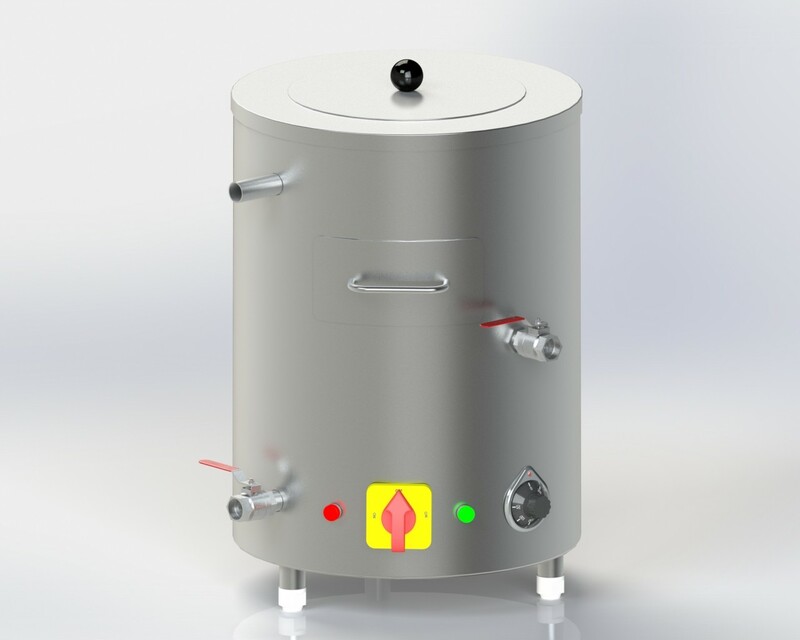 Water Chamber and Milk Boiler Vessel is made of AISI 304 16-guage. It is thermally insulated to give better efficiency and save energy. For Indirect Heating Used Electrical Heater 3KW (1ph-220V) with ON/ OFF switch and Thermostatic Temperature Controller. 3 Nos. Legs are AISI 304 Round Pipe. Entire Exterior Surface is design in satin scotch brite finish. Adjustable Nylon bullet feet to accommodate uneven flooring. Hygienic convenient and easy to clean.